Suitable for DJI Mavic 2 drone. With new quick-release design and excellent noise-reduction performance. Well balanced, high efficiency enhances reliability and stability during flight. Made of quality Carbon Fiber, which is lightweight, anti-impact and durable for long time use. Easy and convenient to install and remove. 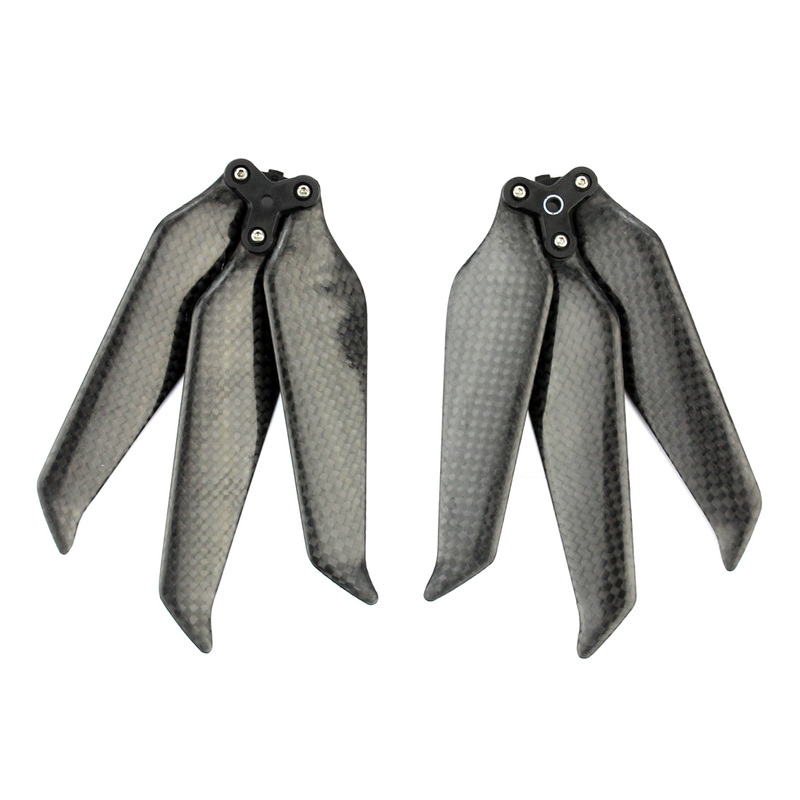 Why Choose Carbon Fiber Props? Higher strength, flying smoother and saving more battery power than plastic propellers. Behave better than plastic props under high load, not easy to deformation. Better balance performance, specially in strong wind.